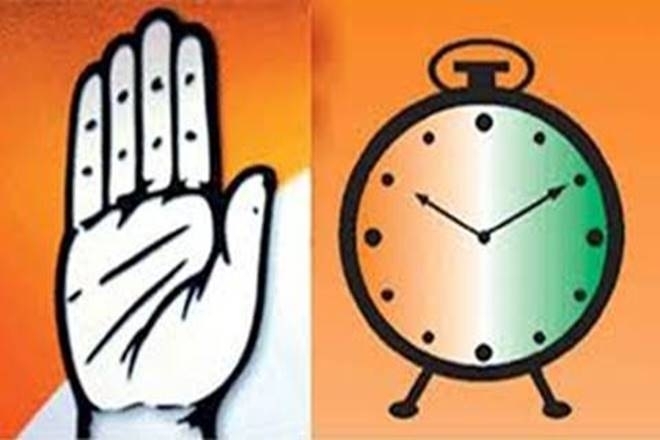 THE Congress and the NCP will announce their seat-sharing pact and alliances with smaller like-minded parties for the 48 Lok Sabha seats in Maharashtra on Saturday. An office-bearer of the Congress on Friday said, both the parties will contest23seatseachandleavetwoforallies. The NCP has given Hatkanangale seat from its quota to Raju Shetti of the Swabhimani Shetkari Sanghatana(SSS), while the Congress will leave Palghar for Bahujan Vikas Agadhi. NCP spokesperson Nawab Malik said that although both the parties will carry out the publicity and campaign jointly, they will release their manifestos separately. Apart from the SSS, the Peasantsand Workers Party (PWP), Bahujan Vikas Agadhi,three factions ofthe RPI led by Jogendra Kawade, Rajendra Gavai and Khobragade group, Loktantrik Janata Dal’s KapilPatil, independent MLARavi Rana’s local outfit in Amravati are some of the smaller parties supporting the Congress-NCP. Congress has so far announced candidates for 12seats and NCP for 16seats. Both the parties suffered a setback last week when Sujay, sonof Opposition leader in Maharashtra Legislative Assembly Radhakrishna Vikhe Patil, and Ranjitsinh, son of NCPMP and former Deputy Chief Minister Vijaysinh Mohite Patil, joined the BJP. Earlier in the day, NCP’s State unit vice president Bharti Pawar and Congress leader Pravin Chheda joined the BJP. LS SEATS: THE Nationalist Congress Party (NCP) on Friday named Solapur Zilla Parishad president Sanjay Shinde, who returned to the party, as its candidate from Madha Lok Sabha seat, and former State Minister Ranajagjitsinh Patil as its nominee from Osmanabad constituency. NCP chief Sharad Pawar made this announcement at an event in Baramati, where Shinde returned to the party fold five years after quitting it. Shinde, a known critic of NCP’s sitting Madha MP Vijaysinh Mohite-Patil, got elected to the Zilla Parishad as an independent and is backed by the Shiv Sena and BJP. The NCP named Shinde from the seat after Mohite-Patil allegedly refused to contest the polls, to be held next month, despite the party offering him a ticket for the election.